Rounded the bend and there he was in a snaggy tree looking wet and soggy. Only by chance did I get to see this guy. Traffic was backed up on the freeway so I drove the back-way through Allentown and along the Green River. 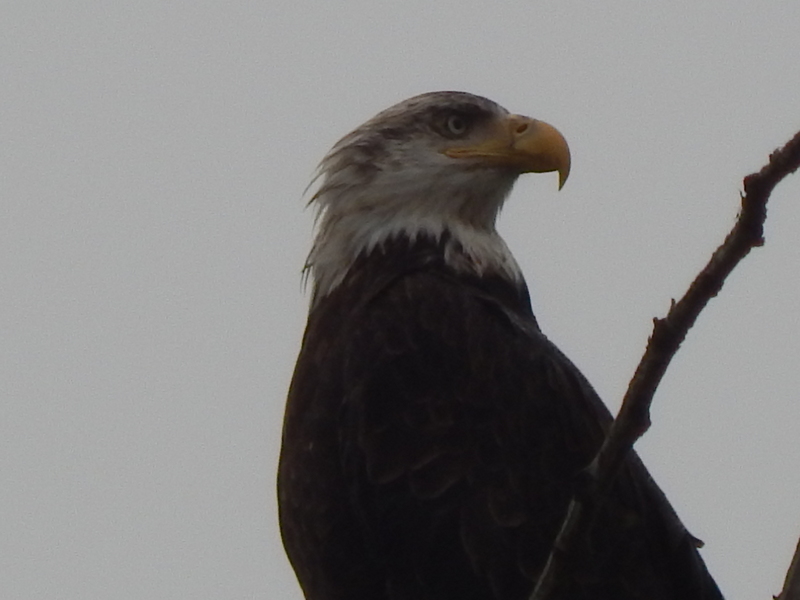 The Bald Eagle has made a big come back. Years ago this would have been a rare sighting and everyone would stop to gawk. Not now, they just whiz by and don’t even notice him sitting there.